Shipping rates are based on delivery within the United States. Prices may vary with weight and distance. International and RUSH shipments will be subject to additional charges. Stitchzone offers many discounts and specials on individual and group orders. Contact us to find out how, 510.818.1182. Or visit our Special page. Rush service is available for most products depending upon when you place your order. To place a RUSH, you MUST contact StitchZone, 510.818.1182. There is a fee for Rush orders. Full payment on all orders must be received before any work can be done.We will accept a mailed personal or organizational check and money order. We do not ship C.O.D. Failure to pay for your order in a timely manner may result in additional rush charges or push back the delivery date of your order. Stitchzone is not responsible for any delay in order delivery caused by a delay in receiving payment. Online orders can be paid by PayPal. If you would like to order something from our website (www.stitchzone.com), but do not have a credit/debit card you can call to place your order or fax in an order form. Group Orders: If you are paying by check or money order for a group order, we will not accept multiple checks. Your organization must send one check or money order to pay for your order. It is the organization's responsibility to make sure we receive payment in a timely manner to avoid late fees. Returned Checks: You will be subject to a $50 per check processing fee for any returned checks in addition to the balance due on the order. You cannot add-on to your INDIVIDUAL order once it has been placed. You can place a second order that will be processed separately from your initial order. You may be able to add-on to a group order depending on the specifics of your order; however there may be additional charges for doing so. You may also be able to re-order more of a given item as long as you meet the minimum order requirement when applicable. For group screen printing orders, the minimum for re-orders is at least 24 pieces. We always recommend ordering a few extra items when you place group orders as add-ons and re-orders are not always possible. Please contact us for more information. We will make every attempt to contact you if the product(s) you ordered is on backorder. StitchZone reserves the right to substitute items of comparable value, without notice to the customer, to fill orders when necessary. Items that have been discontinued by the manufacture and have been replaced with a new model will be used when necessary. Manufacturers change model styles every so often. You can use one of our stock designs. Please contact us for instructions on submitting artwork. Once we have done your artwork we will post it on our web site. If necessary, our art department will make changes to artwork after it has been posted. The colors and sizing for artwork posted on our website is not exact. We size our artwork based on the item(s) ordered, the print location(s) and the image(s) being printed. If you want your artwork to be a specific size you must specify what size you want when you place your order or when you approve your artwork. You MUST approve your artwork before production can begin, contact us by calling 510.818.1182 StitchZone is not responsible for any artwork mistakes on your items so please take the time to carefully check all artwork. Failure to approve your artwork in a timely manner may push back the delivery date of your order. Please keep in mind that we cannot order the blank items for your order or start production until the balance due on your order is paid. Please see the payment section above for more information. StitchZone is not responsible for any delay in order delivery caused by a delay in artwork approval. We reserve the right to display artwork submitted by customers in our portfolio for the purposes of advertising. We also reserve the right to refuse to create or print artwork that is unlawful or inappropriate. All designs are copyright Segami Designs/StitchZone. All orders are custom-made based on the customer's instructions at the time of ordering and as such, the customer is responsible for any costs incurred by StitchZone up to the point of cancellation. If you cancel within 2 hours after placing your order, we will issue you a full refund. Any cancellations occurring after this time will be subject to a MINIMUM cancellation fee of 25% of the total order. INDIVIDUAL orders cannot be cancelled once we have ordered the garment(s) or product(s) for your order. For GROUP orders there is a MINIMUM cancellation fee of $75.00. Your organization will also be charged an additional restocking fee and processing fee if we have ordered products to fill your order. It may be possible to reduce the amount of items ordered without completely canceling an order. If this is possible, your organization will not be charged a cancellation fee, but you may be charged a restocking fee and a processing fee. The price per piece for the remaining items may also increase. Please contact us for more information. If your order has already been produced, it CANNOT be cancelled. To avoid cancellation charges, please be sure you have the approval of your organization before you place your order. Whether ordering online, over the phone or by fax, it is the customer's responsibility to make sure they have ordered correctly. All clothing should be turned inside out and machine washed in cold water. DO NOT ADD BLEACH OR OTHER CHEMICALS. Wash all garments separately. Lay them flat to dry. THESE INSTRUCTIONS ARE TO REPLACE ANY WASHING INSTRUCTIONS INSIDE GARMENTS. Items with screen printing may form stress marks/tears over time. Washed or worn garments, including garments with this form of damage, cannot be replaced, returned for a refund or exchanged for another item. Since all orders are custom-made, there can be no returns unless the item(s) ordered is defective or the wrong item(s) is received. All orders are thoroughly examined and counted by at least two members of our production staff to ensure that item sizes (where applicable) and quantities are accurate. All items are also examined for defects prior to being shipped. StitchZone is not responsible for any problems with orders that have been opened or left unattended after they are delivered. For group screen printing orders it is not possible to re-print any missing or defective items unless the situation meets the criteria for a re-order (see above). If a problem does arise with your order, please contact a customer service representative within 72 hours of receiving your order. Please do not send any items back to us without calling first. Unauthorized returns may be refused and sent back to the customer. Items cannot be returned more than two weeks after receipt for any reason. 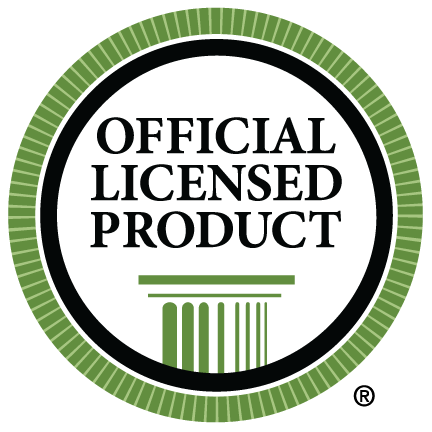 Since it is possible that a license and/or copyright may exist that StitchZone/Segami Designs is unaware of, it is necessary for StitchZone/Segami Designs to adopt the following licensing policy. The customer represents that all materials utilized by the seller in the distribution of the merchandise described in this web site (specifically including, but not limited to, the Greek Organization’s letters, crests, coat of arms, logos, school or university references, insignias, or other designs) will not cause or result in the violation of any law, judicial decision, rule, regulation, ordinance, licensing, franchise or similar agreements, informal or formal, oral or written, between customer and/or other relating to trademarks, service marks, copyrights, patents, etc. The customer further represents that he/she has the free, full, and unqualified right and authority to purchase and grants the seller the rights to sell all of the materials described on this web site. The customer acknowledges that the seller shall assume no liability for compliance or non-compliance with said laws, rules, agreements, etc. The seller hereby disclaims all such liability, if any. The customer agrees to indemnify and hold seller harmless from and against any loss, costs, fees, fines, licensing fees, penalties, damage, and/or assessment, or other expenses (including any attorney fees which may be incurred by seller) which may arise as a result of the sellers application, fabrication, and/or production of materials described on this web site. The products contained on the web site are for demonstration purposes only and do not indicate or imply that any such designs, logos, or names may be reproduced without proper authorization or permission. StitchZone/Segami Designs will utilize all reasonable means to ensure that products being sold from this website are produced by licensed manufacturers when and where appropriate. Due to circumstances beyond our control we are not in control of color variances of materials. We can not guarantee continuity of exact shade, color, size, texture or construction of finished goods. There may be a +/- 5% variance with the size, placement and color of the finished product. You are responsible for providing StitchZone with accurate instructions for producing your order correctly and in a timely manner. Do not assume we knows what you want and when you want it if he/she has not asked you. StitchZone will only be responsible for acting on those instructions given or sent to us that we actually receive. These instructions will affect the accuracy or timeliness of your order. We are not responsible for instructions that we do not receive, instructions we receive late or instructions that are not possible to follow. We are also not responsible for any incorrect instructions you may provide. StitchZone is not responsible for typographical errors in our catalog or on our website (www.stitchzone.com). We reserve the right to discontinue items and change the price per piece of items without notice. We also reserve the right to change these policies at any time without notice. Please contact a us if you have any questions regarding these policies. By placing an order with StitchZone, you have agreed to the terms and conditions described in these policies. StitchZone promises to protect the personal information given to us by visitors to our website and information included on our electronic mail lists. StitchZone / Segami Designs analyzes our website logs to constantly improve the value of our website to our visitors. This includes page views, unique views, unique visitors, repeat visitors, frequency of visits, and peak-volume traffic periods. In our use of this service, we do not gather, request, record, require, collect, or track any Internet users' personally identifiable information. StitchZone does not sell, rent, loan, trade, or lease personal information collected on our website or included on our e-mail lists to any third party. Any personally identifiable information that you provide to StitchZone / Segami Designs will be collected directly on servers located in the United States and maintained on servers located in the United States. If you are located outside the United States, this means that any information you provide will be transferred abroad. While StitchZone is committed to providing your information with the highest level of privacy protection, we believe you should know that the general level of protection for personal information in the United States may not be the same as that provided in other countries, including those that belong to the European Economic Area. If you have any questions or concerns regarding privacy on the StitchZone website, please contact us at info@stitchzone.com.